I’m fighting the urge to re-read all of Jane Austen. The compulsion began yesterday, with Emma (I forced myself to put it down, at the point where Emma and Harriet are most hopeful about Mr. Elton’s intentions). I could easily end up accomplishing nothing over the next 3 weeks if I succumb. I have nothing against Jane. She still has plenty to teach me. But the time! As the start of the new school year approaches, I have to think about 1) planning my courses and 2) writing a report for accreditation review. And, as always, there’s my own writing, which seems to have gotten stuck (not to worry — I’m on the verge of a breakthrough — in short, something will turn up). So, Emma goes back on the shelf, and I migrate another post from my earlier blog, part of a series on my favorite authors. What an astonishing career this woman had. To have created such indelible characters as Elizabeth Bennet and Mr. Darcy, Anne Elliot and Captain Wentworth, Emma Woodhouse and Mr. Knightley. Then there are her comic inventions: the impossibly supercilious curates Mr. Collins and Mr. Elton, Anne’s hypochondriacal sister Mary, and the woman-who-can’t-stop-talking, Miss Bates. It’s amusing that, for a couple of centuries, people have been arguing about who could have written Shakespeare’s plays (suspects range from a dead Christopher Marlowe to Queen Elizabeth I), yet no one questions the genius of this daughter of a country parson. I suspect it’s because we know more about Austen. A few of her letters survive, as well as some early writings, and her great-nephew kindly wrote a biography after she died. Shakespeare wasn’t thoughtful enough to leave us much more than a bill for some furniture! Not very forward-thinking, that. So as experts disagree about who wrote all those plays, we Janeites can enjoy her work in innumerable formats, including clever modernizations of Emma (Clueless) and P&P (Bridget Jones). I won’t say more about the classic six, but move instead to her early works, those less likely to be familiar to any but the most avid fans. I have a first edition (1922) of these, with an introduction by G K Chesterton; it includes “Love and Freindship”, “Lesley Castle”, “The History of England”, “Collection of Letters”, and “Scraps”. Jane started writing early, composing these pieces between age 12 and 15. Already, her comic sense is apparent, and she has great fun parodying the overly sentimental novels of her time. Henry the 4th ascended the throne of England much to his own satisfaction in the year 1399, after having prevailed on his cousin and predecessor Richard the 2nd, to resign it to him, and to retire for the rest of his life to Pomfret Castle, where he happened to be murdered. Imagine penning these before reaching 15 years of age! And then imagine becoming an even better writer within the next 20 years, and creating those six lustrous novels. 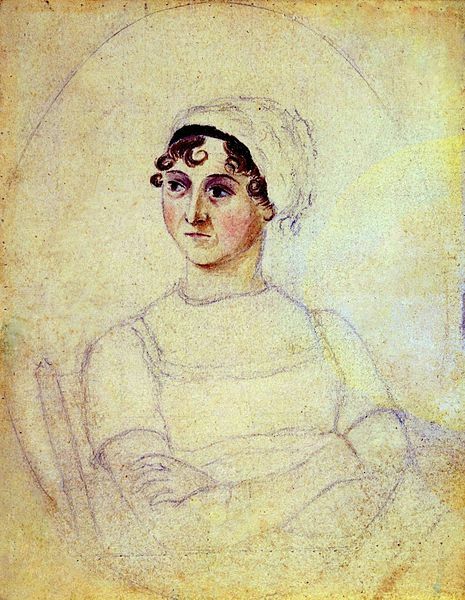 Much of her early writing is available on line, through various Jane Austen sites. 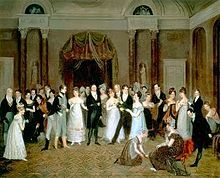 JaneAusten.org and Pemberly.com complement each other without too much overlap. ‘Jane? Why, she was a little old maid ‘oo’d written ‘alf a dozen books about a hundred years ago. ‘Twasn’t as if there was anythin’ to ‘em, either. I know. I had to read ‘em. They weren’t adventurous, nor smutty, nor what you’d call even intrestin’ — all about girls o’ seventeen (they begun young then, I tell you), not certain ‘oom they’d like to marry; an’ their dances an’ card-parties an’ picnics, an’ their young blokes goin’ off to London on ‘orseback for ‘air-cuts an’ shaves. It took a full day in those days, if you went to a proper barber. They wore wigs, too, when they was chemists or clergymen. When you’ve read this story, you can consider yourself a pukka Janeite. This entry was posted in reading and tagged Jane Austen. Bookmark the permalink. Great post! I’m embarassed to admit that though I’ve read the main six about a dozen times each, I’ve never read Jane’s early works, nor did I evern know Kipling’s “The Janites” existed. (Interestingly, though, my husband and I are currently reading “The Jungle Book” in correlation with my upcoming re-read of “The Graveyard Book.”) Sounds like I will soon be taking a little break from the Newberys to catch up on the Jane that I’ve missed! Yes, Jane is a great respite from YA lit. So calm and restful, after all the sturm und drang of adolescence! I’d forgotten about the orphans! Although most of Austen’s heroines’ parents aren’t all they should be. I still have got to rad Austen. Can’t seem to get past page 2. Maybe I’ll start with Kipling. Did you see that another Asten movie is coming out? Austenland. Looks like a very silly movie, but I’ll have to see it. Esp since JJ Feild played Henry Tilney (an Austen hero). As for reading Austen, I suggest you start with Northanger Abbey. It’s a short spoof of gothic novels (all the rage when Austen was writing). So much Austen to read, so much more pleasure to come! I’m so pleased you included that painting by Rolinda Sharples in your post. There are a handful of paintings by this talented female artist in the Bristol Museum and Art Gallery, including a frank and yet charming self portrait which I often seek out when revisiting the city. There’s a good biography of her on Wikipedia which mentions that she spent a childhood in New York before returning to England and especially Clifton, Bristol, where she eventually died in 1838. I’ll have to visit Bristol at some pint and see more of Sharples’ work. That painting is on the cover of my edition of Emma. And I suppose it’s the apotheosis of fame to have one’s image and a harmless quote from one’s work engraved on a bank note. We’ll put women on coins here in the US, but never on any paper money. Not in Emma — are you thinking of Northanger Abbey? or Persuasion? Although many of Emma’s fellow characters flit about England, she never goes further than Box Hill. Her father, you know. He doesn’t like to travel, and she won’t leave him on his own. Ah, yes, probably Persuasion. Sorry, early morning cotton wool in the brain probably accounts for my confusion. Yes, early morning cotton wool in the brain is a common ailment. I myself generally need an hour or so of quiet tea-drinking to clear cobwebs.